One of the most influential make up artists in the world, Rae Morris has written the book on beauty (in fact, she’s written several of them…) Having perfected endless famous faces, she turned her hand to creating the most luxurious and effective brushes money can buy – and the results will change the way you apply make up forever. Specially designed for blending eyeshadow from the socket up towards the brow bone, this brush is brilliant for mastering all kinds of eye looks. Meticulously crafted by Japanese artisans, the brush features a special crescent-shaped head, a super-sleek handle and the brand’s world-first magnetic storage functionality (‘Jishaku’ means magnet in Japanese) for seamless storage and perfect hygiene. From its supremely soft head to its ultra-sleek handle, Rae Morris’ Jishaku brush range will change the way you apply make up forever. Combining the finest Japanese brush-making techniques and Rae Morris’ make up application expertise, this range is the culmination of years of testing and perfecting. 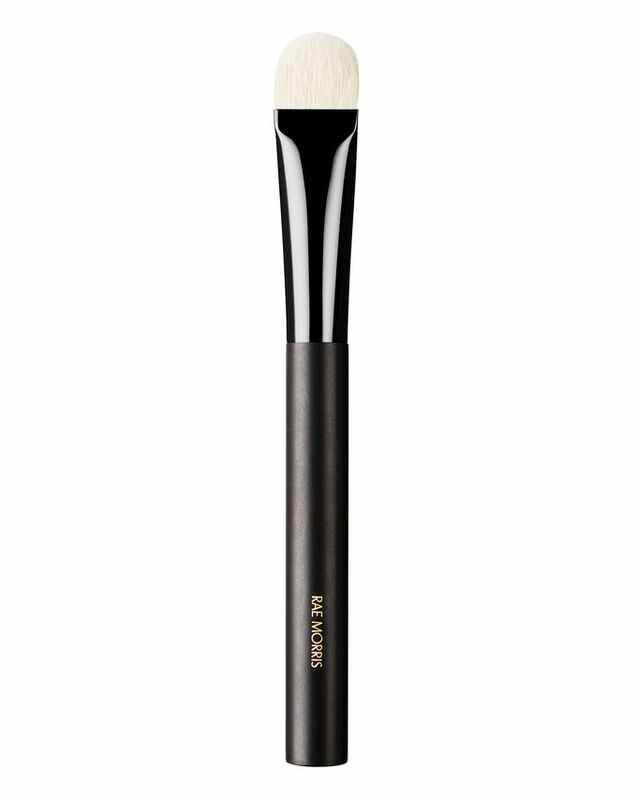 The Jishaku #6.5: Angle Eye Blender brush is specially designed for the moment when you want to blend eyeshadow from the socket area up towards the brow bone. Great for larger or hooded eye shapes, this brilliant blender helps to lift eyes and create seamless, softly finished eye looks. The short, crescent-shaped head is meticulously crafted from the highest grade Sokoho goat hair by Japanese artisans (animal cruelty-free and deemed the ‘softest I’ve ever had’ by a discerning Into The Gloss reviewer) while the sleek, rounded black handle is formed from hard maple and cherry wood. Another standout feature is the brand’s world-first magnetic functionality (‘Jishaku’ means magnet in Japanese) which means that the brushes can stand upright on any surface a magnet will hold to – including Rae Morris’ custom designed magnetic stands – making for seamless storage, ultimate organisation and perfect hygiene. Use to blend eyeshadow from the socket up towards the brow bone. Top tip: Great for larger eye shapes, or where a hooded or heavy brow bone is prominent. 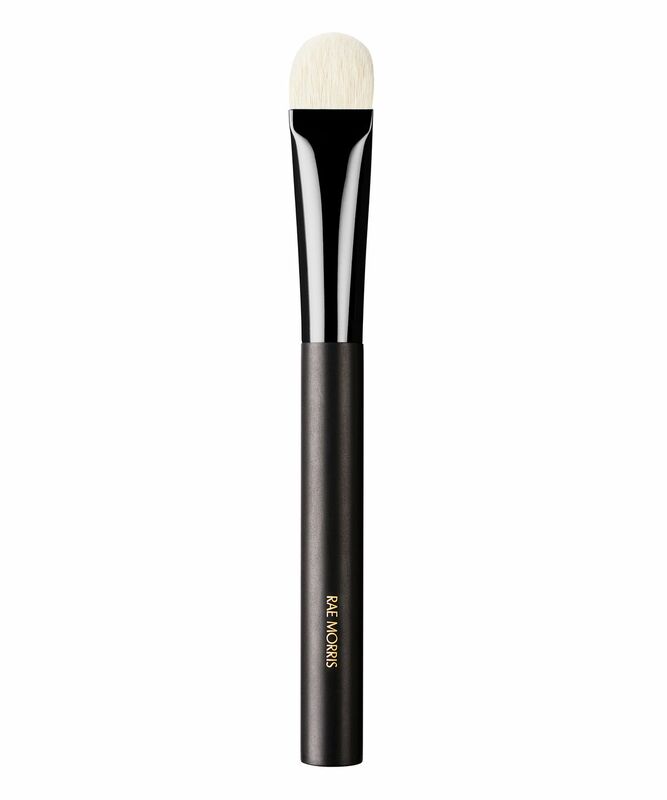 By using this brush with a matte brown shade that’s slightly darker than your skin shade it will help lift this area. I use this odd shaped brush for nose contouring! It’s very soft and blends out both cream and powder contour beautifully. Have also used it for blending eye shadows of course. Love it so much I’ve bought a second brush.